SAN BERNARDINO, Calif. — Bob Bertheau and his team at Chateau Ste. 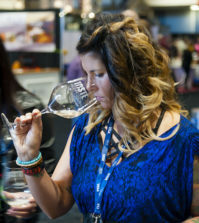 Michelle nearly stole the entire show at the 30th annual Pacific Rim International Wine Competition after winning awards for best of class in both the dry and off-dry Riesling categories as well as grand champion for best white wine. 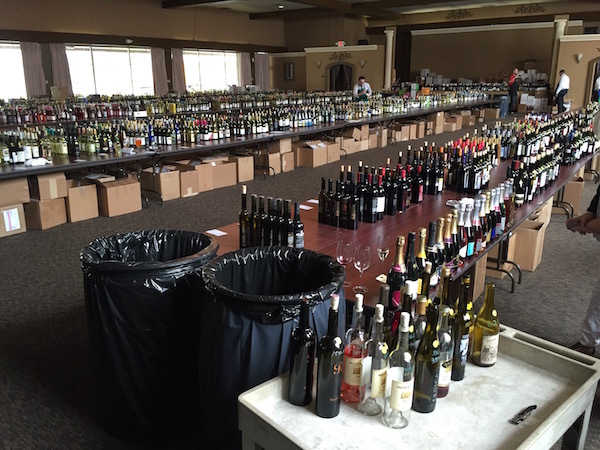 The 2013 Eroica ($20) from Washington’s Columbia Valley came within a single vote of claiming best of show at the San Bernardino, Calif., judging, which is held in conjunction with the 100-year-old National Orange Show. The 2013 Eroica Gold ($30) won best of class among off-dry Rieslings, while the 2013 Dry Riesling ($10), a stunning, large-production wine, also earned a gold medal. It essentially lost out in the dry category to the Eroica — the wine that many in the industry credit with helping to inspire the rebirth of Riesling in the United States. The project, which began with the 1999 harvest, remains a partnership with famed German Riesling producer Ernst Loosen. “I am so excited about our ‘Riesling Trifecta’ at the Pacific Rim International Wine Competition,” Bertheau told Great Northwest Wine via email. “Gold for our Dry Riesling, Best of Class for Eroica Gold and Best White Wine for our Eroica! Best-of-show honors went to Rancho de Philo in the nearby Cucamonga Valley for its Triple Cream Sherry ($39). The solera-style product of Mission grapes earned its way into the sweepstakes by topping the fortified category, and gold medals in major Southern California competitions are a tradition for this coveted nectar. 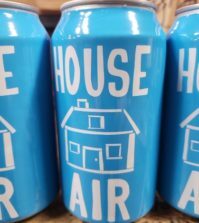 Production is limited to about 350 cases each year, and it is the only wine produced by the family with six generations of winemaking in its background. Wines from Washington, Oregon and British Columbia excelled during the two-day judging in Southern California, which saw more than 260 wineries create a field of nearly 1,100 entries from California, New York, Michigan, Missouri, Nevada, New Jersey, Texas, Kansas, Virginia, and Florida as well as Australia, Chile, France, Germany, Italy, Mexico and New Zealand. 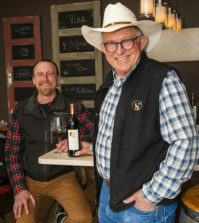 Walla Walla Vintners amassed four gold medals, led by a best of class award for its 2012 Estate Syrah as well as gold medals for the 2012 Cabernet Franc, 2012 Sangiovese and 2012 Bello Rosso, a Super Tuscan-style blend. 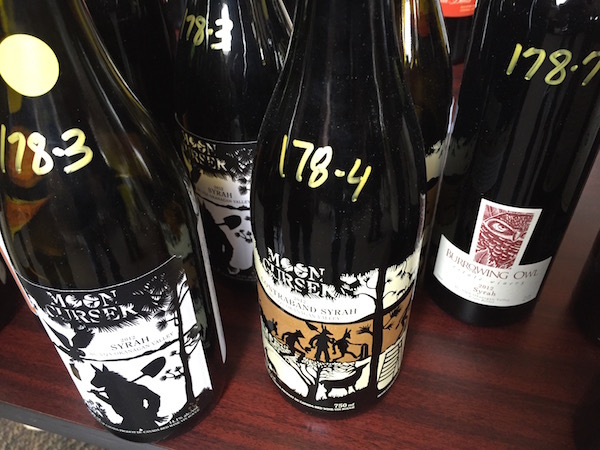 Earlier this year, the 2012 Estate Syrah made by William vonMetzger received a double gold at the Savor Northwest Wine Awards. 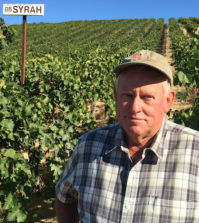 Sinclair Estate Vineyards in Walla Walla, led by former Ste. Michelle winemaker Amy Alvarez Wampfler, grabbed three gold medals, including best of class for her 2010 Merlot. Victor Palencia, Wine Press Northwest magazine’s 2015 Washington Winery to Watch, continued his hot start to the competition season under his Palencia Wine Co., operation with a best of class for his 2014 Albariño and a gold for the Vino La Monarcha 2014 Pinot Noir Rosé — which won best of show at last month’s Great Northwest Wine Competition. Moon Curser Vineyards in Osoyoos, British Columbia, earned four gold medals — three of them involving Syrah, including a best of class for its 2012 Dead of the Knight blend. The competition also served as the latest example of the Okanagan Valley’s success with the Rhône grape, as Burrowing Owl Estate Winery also earned a gold medal for its 2012 Syrah. Schmidt Family Vineyards in Oregon’s Applegate Valley was awarded best of class for its 2012 Tempranillo. Gold medals won by other Ste. 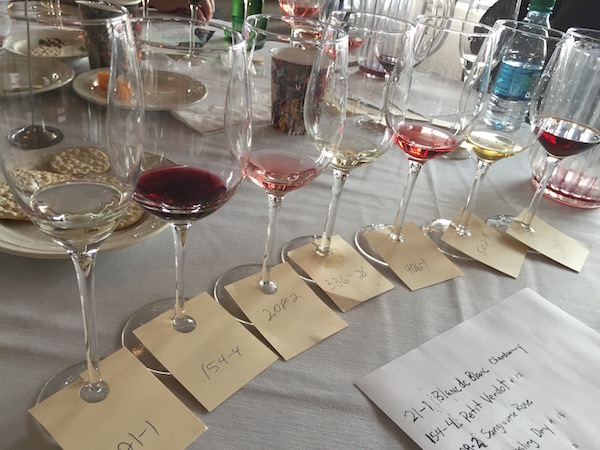 Michelle Wine Estates brands include Seven Falls Cellars 2012 Cabernet Sauvignon, 14 Hands 2012 The Reserve Cabernet Sauvignon and two wines by Michelle Sparkling — including the nonvintage Brut for best sparkling of the competition. The National Orange Show Events Center operates as a non-profit public benefit corporation and manages a 120-plus acre, multiuse facility with the annual Citrus Fair as the centerpiece. Coke Roth, an attorney in Kennewick, Wash., continues to serve as the competition’s chief judge.